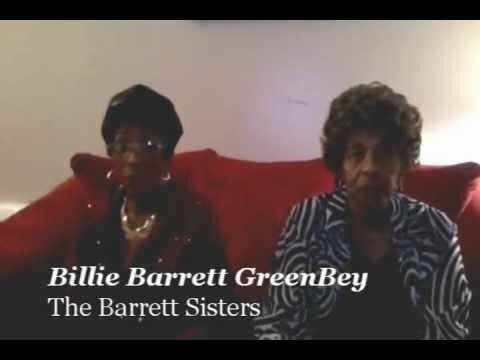 The Barrett Sisters have launched an indiegogo campaign to raise funds to the final stages of a documentary film about their lives and careers in gospel music, The Sweet Sisters of Zion: Delois Barrett Campbell and the Barrett Sisters. A personal appeal from the Barrett Sisters for help in funding the documentary about their lives and careers. Completed before Delois Barrett Campbell’s passing on August 2, 2011, the documentary features Delois in her own words, telling tales as only she could. (Read an in-depth tribute to Mrs. Campbell in our previous incarnation as TheBluegrassSpecial.com.) Money raised through the indiegogo campaign will be used to defray the costs of filming, packaging, promoting and distributing the movie. 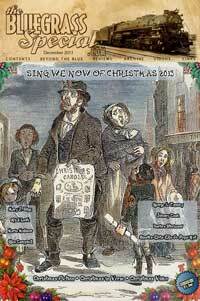 Visit the Indiegogo site Barrett Sisters and give generously. Note the sweet swag at every level of donation. 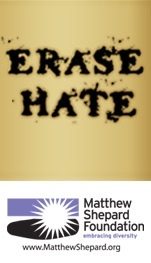 Also be sure to check out the video snippets available on the Indiegogo site. Award-winning gospel artist DeWayne Woods sings to congregations of thousands every week and now he is the first faith-based artist PETA has signed to spread that abundant love to animals in a new campaign. Woods refers to his dogs as his “kids” and believes that raising children in an environment in which they see animals treated with love and respect will help our culture see animals as they see each other as equals. Animal companions are a part of DeWayne’s family, and family members aren’t abandoned outside and left at the mercy of the elements, they live indoors with the rest of the family. Too many dogs spend their lonely days and cold nights at the end of a chain. Chained dogs are often deprived of adequate food, water, and veterinary care, in addition to having their emotional and social needs completely ignored. They are vulnerable to cruel people and other animals and rarely have sufficient shelter to shield them from inclement weather. In an exclusive PETA interview (above), Woods explained his interpretation of what it means for humanity to have “dominion” over animals: “I think it’s just showing them the way, showing them that you love them and that you’re concerned about them—-you want to watch them grow up and be the best animals that they could possibly be.” He also stresses the importance of spaying and neutering and of choosing kind forms of family entertainment—which means staying away from circuses that use animals. In this behind-the-scenes video, DeWayne sheds light on the cruelty of forcing dogs to live at the end of a chain and exposes cruelty to animals in circuses. 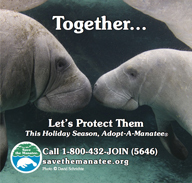 Watch his interview, and spread a message of compassion for God’s creatures. January marked the 20th anniversary for Donald Lawrence’s Tri-City Singers, a milestone celebrated with the release of new commemorative 20-year compilation, Seasons: A 20 Year Celebration. Donald Lawrence took on The Tri-City Singers after a friend vacated his position as musical director. (Note: The three cities that The Tri-City Singers come from are Spartanburg, SC, Gastonia, NC, and Charlotte, NC.) The group debuted in 1993 with A Songwriter’s Point Of View on a then-brand-new independent record label called GospoCentric Records. The set debuted at #2 on the Billboard Top Gospel Charts. The group’s follow-up release, Bible Stories, topped those same charts when it arrived in 1995. It was the first to be billed as Donald Lawrence & The Tri-City Singers and featured black church-ubiquitous hits such as “A Message For The Saints,” “I Am God” and “Stranger.” The album was released on Lawrence’s newly minted, Sparrow Records-distributed label Crystal Rose Records. In 1997, Donald Lawrence produced the live portion of Karen Clark Sheard’s Grammy-nominated “Finally Karen” debut. Lawrence & Tri-City also released the seasonal Hello Christmas the same year. Later, Lawrence signed a contract with the Island Records imprint Island Inspirational. Though a live recording did take place for release, the album never materialized. In 2000, Donald Lawrence & The Tri-City Singers signed to EMI Gospel. To promote the new album, a maxi CD of the lead single “Testify” was marketed to the mainstream. House remixes by Junior Vasquez sent the song to #33 on Billboard’s Mainstream Dance Charts. When Tri-City4.com was finally released in late summer 2000, the set peaked at #2 on Billboard’s Top Gospel Charts and #13 on Billboard’s Heatseekers Chart. The album also got a profile boost from the all-star standout “God’s Favor,” featuring vocal turns from Karen Clark Sheard, Kim Burrell, and Kelly Price. Lawrence waited almost two years before delivering the follow-up, Go Get Your Life Back, in early 2002. “The Best is Yet to Come,” a song sonically much in the vein of the previous smash “Testify,” was chosen as the album’s lead single. This release featured guest appearances from Ann Nesby (formerly of Sounds of Blackness) and gospel pioneer Bishop Walter Hawkins. The momentum continued with the 2003 release of Restoring The Years, a greatest hits album featuring two new songs. 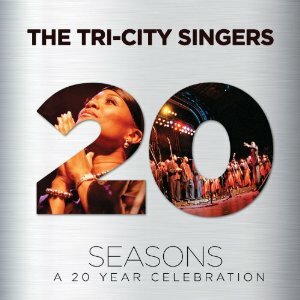 Tri-City Singers, ‘Seasons,’ as featured on Seasons: A 20 Year Celebration. Lead singer LaShun Pace wrecks the house in this live version of ‘And Yet I’m Still Saved,’ from the DVD in the anniversary release, Seasons: A 20 Year Celebration. In March 2006, The Tri-City Singers announced that they would retire, but not before one last live recording. Finale: Act One and Finale: Act Two were released simultaneously on April 4, 2006. Each release was a CD/DVD set that chronicled the audio and video of one half of the concert, with packages that locked into one another respectively. A special edition of Finale was later released with both CDs and DVDs. The blowout concert included guest appearances from Bishop Walter Hawkins, Karen Clark Sheard, Vanessa Bell Armstrong, Daryl Coley, LaShun Pace, Darwin Hobbs and many other gospel luminaries. The album’s lead single, “The Blessing Of Abraham,” was nominated for a Grammy Award for Best Gospel Performance in December 2006. Available at Amazon, Seasons: A 20 Year Celebration is a Deluxe Edition CD/DVD package containing 15 recordings and 15 videos, attractively priced, as of this writing, at $9.99.